All issues of the journal published before January 2018 will remain available in print edition and can be ordered at Leuven University Press. Please direct all orders to: orders@lup.be. The volumes published before 2000 are free available online. You can find them in the menu 'eBooks'. 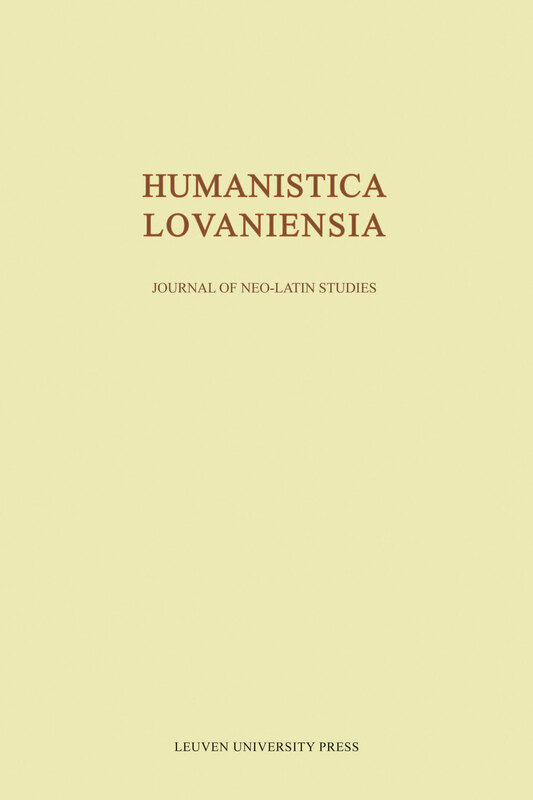 The digital archives of Humanistica Lovaniensia also remain available at JSTOR. For more information about the new and forthcoming issues in full open access, please go to www.arts.kuleuven.be/sph/humanistica or contact humanistica@kuleuven.be. Please note that nothing will change regarding the volumes published in the series Supplementa Humanistica Lovaniensia.